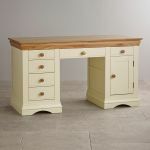 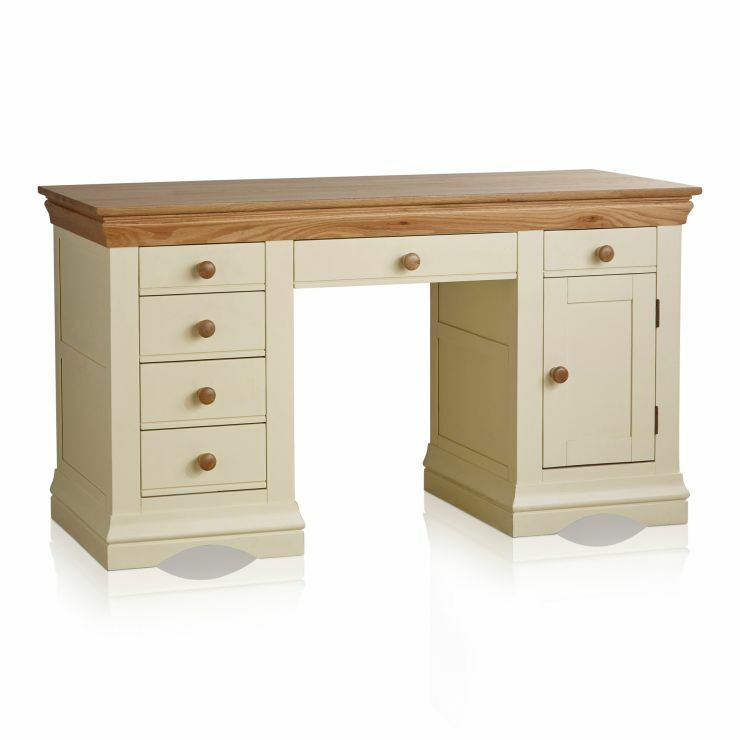 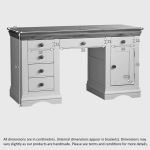 The Country Cottage Natural Oak and Painted Computer Desk is effortlessly stylish with a pedestal design, flared cornices and elegantly arched bases. 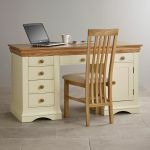 Crafted by expert woodworkers from the finest cuts of solid hardwood, it's perfect for adding style and essential storage to any home office. 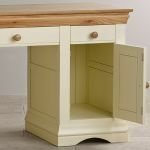 In addition to offering a large cupboard and four spacious drawers, the desk features a keyboard compartment at the top of the seating area. 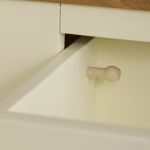 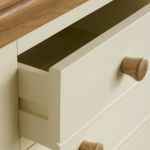 As is standard at Oak Furniture Land, all drawers are made using traditional dovetail joints with solid hardwood backs, bases and linings. 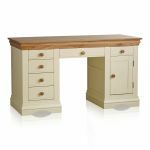 For more items of beautifully crafted painted furniture, why not check out the rest of the Country Cottage Natural Oak and Painted range?